There are plenty of things to love about summer, but one of the BEST things has to be how easy it is to put an every day outfit together. I’m talking an every day, summer holiday, relaxed combo that suits the weather and whatever you have on that day. 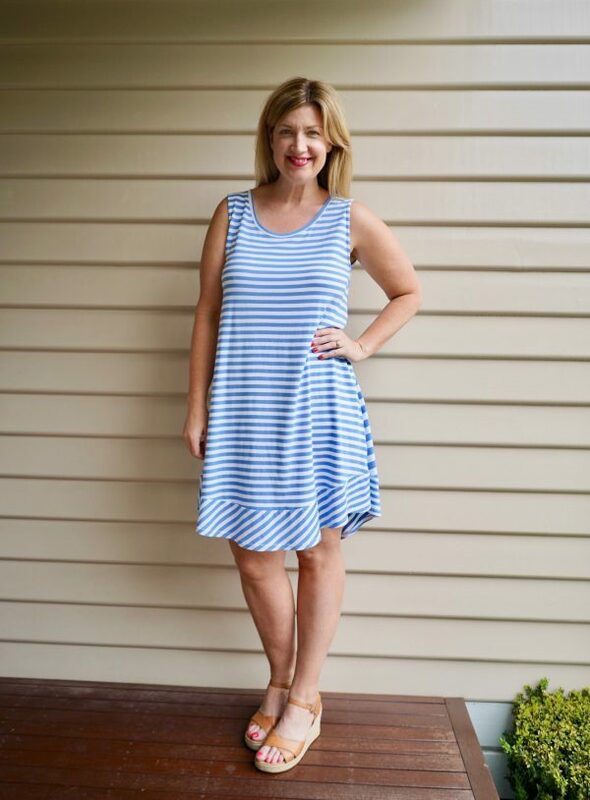 My tried and true approach to summer dressing – especially on days I work from home, busy weekends and afternoons running the kids to all the extracurricular activities or the summer holidays – is to simply pick up a relaxed, easy wearing dress I feel GREAT in and add shoes. And in today’s post, I’d like to introduce you to five fab frocks from birdsnest which fit that bill and then some. Oh and three of them are also under $70. Winning. 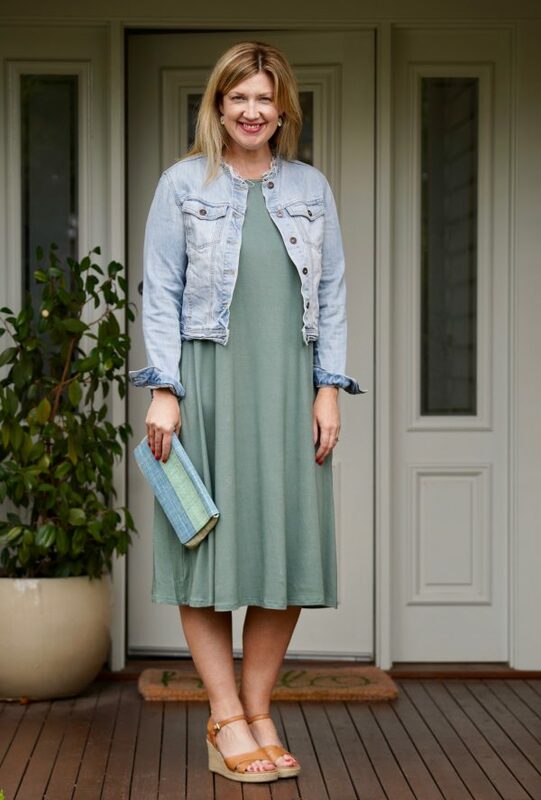 In reality, for an everyday situation, I’d probably wear all of the dresses featured in this post with flats (either sandals, thongs or trainers) but I’ve intentionally paired each dress below with a pair of tan espadrille wedges to show how versatile each dress is and how easy it is to dress it up. You might not have plans to dress it up but just in case, now you know you can if you want to. OK, so here is the first frock – I’m wearing the beautiful Belle Trapeze Dress in wreath in size 12, $119 from the Belle Bird label. Isn’t this colour divine? 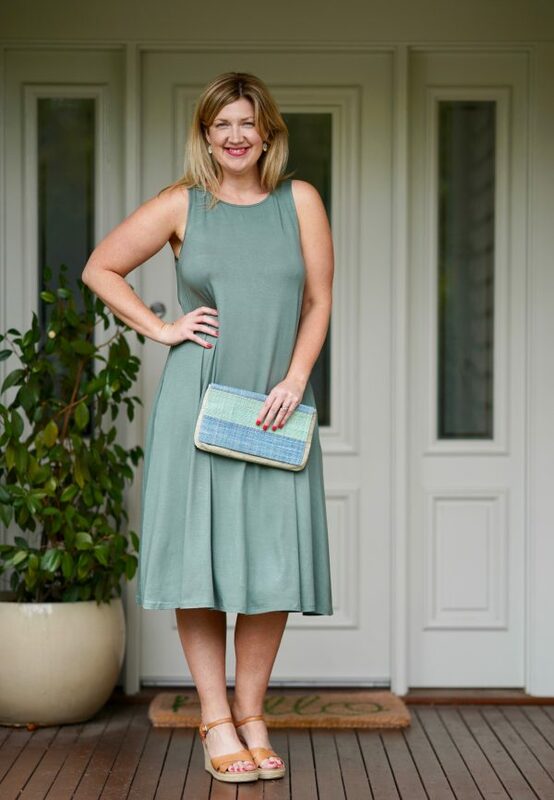 I love this stunning muted sage green and it’s a great option if you’re looking for an easy wearing dress for Christmas Day. As you can see, this pretty dress has a relaxed fit, although it is semi fitted through the bodice. With its flattering A-line swing shape and super comfortable smooth stretch jersey, this dress also ideal for all sorts of occasions including Christmas Day and other festive indulgences. Size wise, the fit of the Trapeze Dress is on the generous side. I’m wearing a size 12 but I have plenty of room, due in part to the give in the fabric. This dress is currently available in sizes 10 – 22. It’s also available in two other colours (black and navy) although limited sizes remain. Above, I’ve styled it with a textured clutch and wedges for a smart casual occasion like a family dinner or the work family day, but I’d swap these out for tan or jewelled sandals for a different look or even sub in a tan block heel for work or lunch out with the girls. 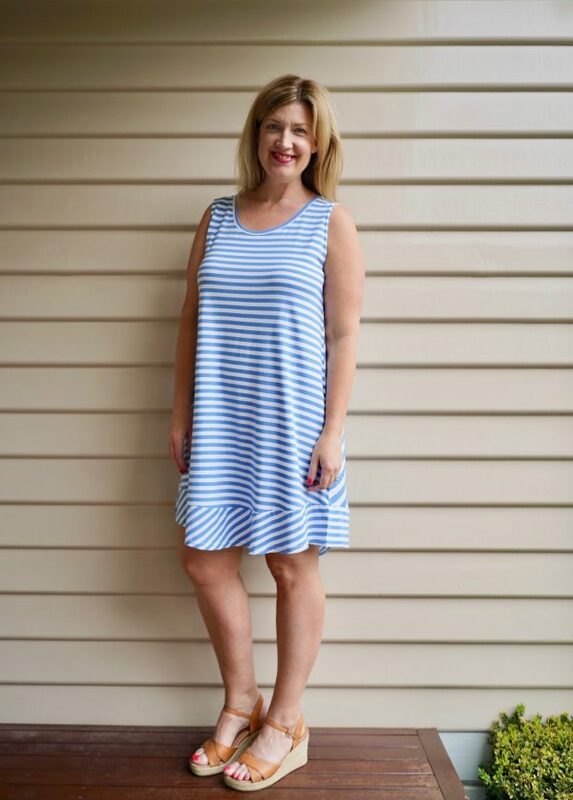 Hot and humid days present some challenges in the dressing department, but if you’re looking for a casual number that was MADE for days like these, you simply cannot go past the Contrast Stripe Sleeveless Swing Dress, $69.95 from bird keepers. If this dress doesn’t say summer holidays, I don’t know which dress does! I liken this style to a long tank but with it’s relaxed, swing shape, it’s airy and breezy in all the right places. The soft jersey fabric with stretch also provides that give which is ideal on super hot days. As a paid up member of Team Stripes, I couldn’t go past this triple stripe style too, with contrast stripes on the back and front as well as a striped panel at the hem. The fresh cornflower blue and white colour way is a nice alternative to the usual black or navy too, but still super fresh and somewhat nautical for summer. Size wise, the Contrast Stripe Sleeveless Swing Dress is available in sizes 8 – 22, with all sizes currently available. Although it’s a generous fit and I usually would opt for a 12 in this style, I’m wearing the 14 as it gives me some additional length. Featuring this knock out shade of blue/green – one of my favourite colours of all time let alone Summer – this pretty kaftan is choccas full of the details that elevate this seemingly casual jersey dress into much more interesting territory. With it’s flattering V neckline, elbow length extended sleeves, drawstring detail under bust, draping sides and scoop hem, it’s a dress you can pop over your cossie for a visit to the surf club or pool bar, or out to dinner on a balmy night. Simply add statement earrings and your favourite flats or wedge and you’re good to go. Again, the Kaftan Dress in Emerald is a relaxed, easy fit which drapes in all the right places. I’m wearing a size 14 which is a relaxed fit on me. It’s available in sizes 8 -22 and also in “storm” a lovely blue/grey shade. 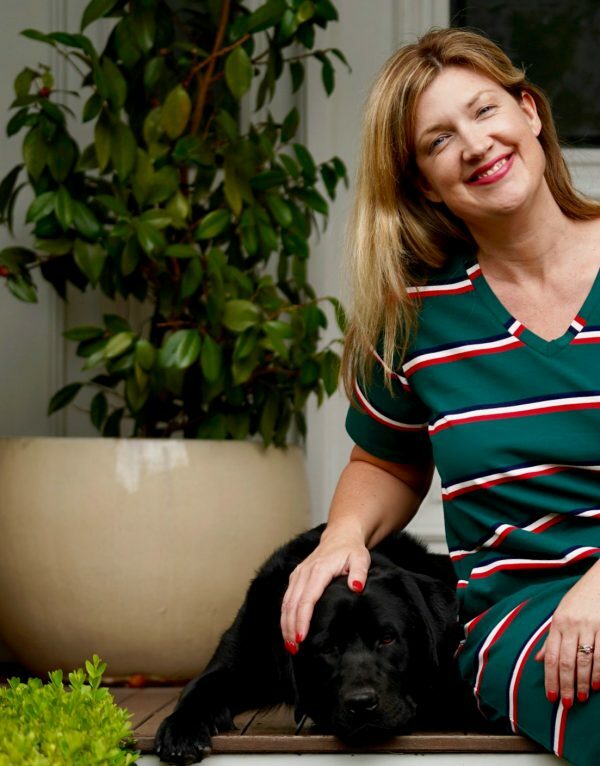 Changing things up completely, below I’m wearing a fab casual frock – the Summer T-Shirt Dress in Olive Green – from the Handpicked by Birds label, $69.95. Featuring a straighter but still relaxed shape, a V neckline, tee shirt length sleeves and – POCKETS! – this is a great dress to pair with trainers or flats for Summer. While it is a dress for warmer days, the jersey has a reasonable weight – although not a heaviness to it – which keeps it’s shape and doesn’t cling which is ideal for this shorter, straighter style. 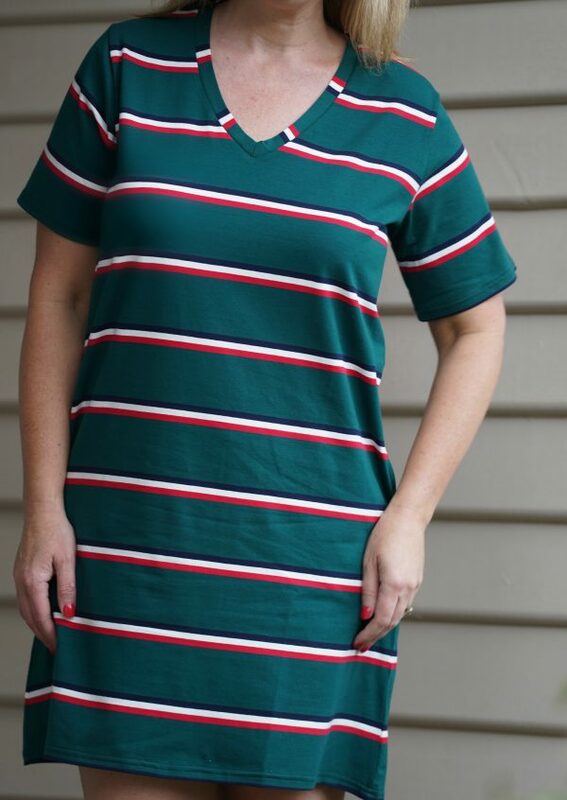 Speaking of which, the Summer T-Shirt Dress in Olive Green is a shorter style on me – I’m 175cm so that’s not unusual – but it would probably hit closer to knee length if you’re a bit shorter than me. I’m wearing a 14, so I’d say it’s true to size too. Last but not least is the Linen Blend Shift Dress in Mint, $109.95 from bird keepers, a great option if you prefer a more structured, lined shift for summer. 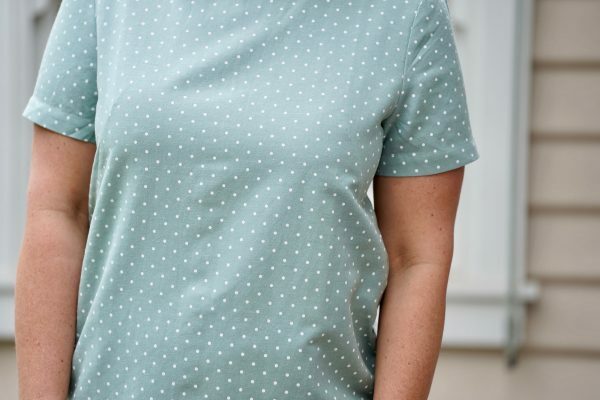 Featuring a round neck, short sleeves, a concealed back zip, this fully lined shift dress in this pretty mint spot is a fresh option for the warmer months, and suitable for work and other smart casual scenarios. With it’s crisp linen blend, it’s a smart but happy change from some of the usual darker colour linen offerings, especially for work. The linen/viscose fabrication has no stretch though, so there’s no give which is important to factor in when considering sizing. That said, I think the sizing is still true to size. As an hourglass, I wouldn’t usually opt for such a straight cut, but if you do prefer a shorter, shift style and are more of an apple shape, this is a great option for you. 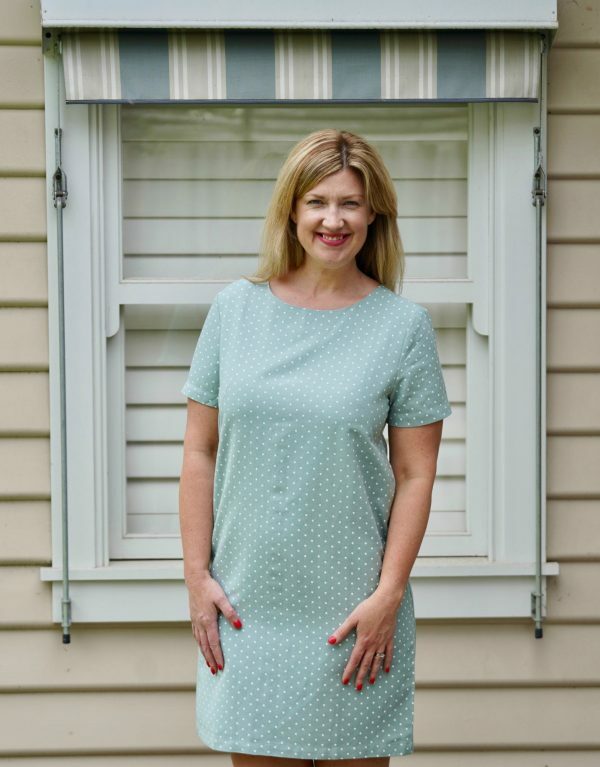 The Linen Blend Shift Dress in Mint is available in sizes 8 – 22 and, if you prefer, also available in a denim spot colour way if that’s more your thing. 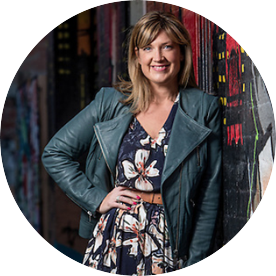 To check out more fab easy wearing summer frockery, head to the casual dresses page at birdsnest. With new drops every day or so, you’ll be sure to find something fun and fabulous to wear to your Christmas party, Christmas Day and all summer long! This post is sponsored and also contains affiliate links. You don’t pay any extra and I earn a small commission. Read more in my Disclosure Policy here. So over to you – which frock is your fave and is there an easy summer frock or three in your wardrobe?